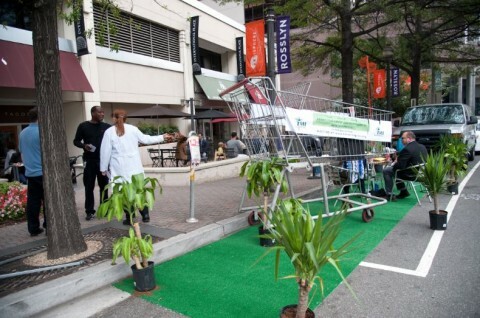 The Washington Post recently reported on DIY New Urbanism and its implications. It’s an interesting article and worth taking a few minutes to read. Click here to read it. Hot off the presses from the Montgomery County Department of Transportation, more detailed information about the Western Workaround construction scheduled to begin in a couple of weeks. Just to make sure no one missed this announcement, here’s a reminder that due to the rescheduled Route 355 BRT meeting, we have had to cancel tonight’s Pedestrian Safety Campaign meeting. But wait a minute, you say? You wanted to provide input on how to make the Pike District/White Flint area more walkable? The Western Workaround is Coming — Really! Will you take our Pedestrian Safety Campaign survey? It’s only ten questions and your input will help us determine what pedestrian improvements we’ll fight for. Where are the problem areas in the White Flint area? What would make it easier and safer to walk around the Pike District? Click here to take the short but important Pedestrian Safety Campaign. 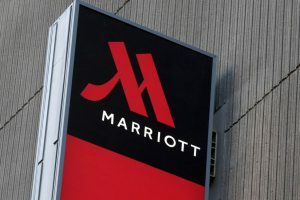 As you’ve no doubt heard, Marriott has chosen to locate its new headquarters in downtown Bethesda. While we’re delighted this major international corporation will live right down the road from the Pike District, we’re sad they didn’t select the White Flint area for their shiny, modern headquarters. 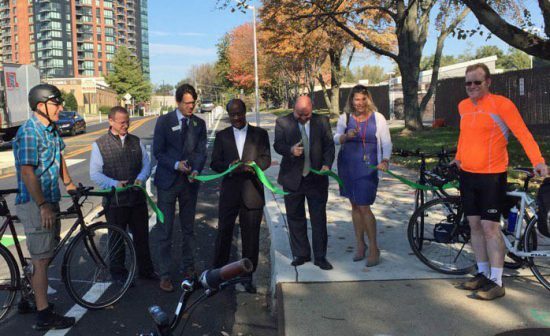 Yesterday, County Executive Ike Leggett, MCDOT Director Al Roshdieh, and Councilmember Hans Reimer cut the ribbon on the new Nebel Street separated bike lanes. Montgomery County School Superintendent Jack Smith is recommending the school board convene a roundtable discussion group to study how to handle high school overcrowding, a school spokeswoman said Thursday night. Central Farm Markets asked us to post this last-minute change for their farmer markets this weekend: The Bethesda Central Farm Market has been forced to close just this coming Sunday due to the art festival. Please come visit the Pike Central Farm Market this Saturday at 6001 Executive Blvd at the corner of Old Georgetown Road.